A Department of Defense investigator scrutinizes the NCIS team’s response to the Bodnar case involving the murder of Ziva’s father and Vance’s wife. Meanwhile, the team examines whether a Petty Officer is suffering from paranoia or if his claims of being followed are tied to a matter of national security, on NCIS, Tuesday, May 7 (8:00-9:00 PM, ET/PT) on the CBS Television Network. 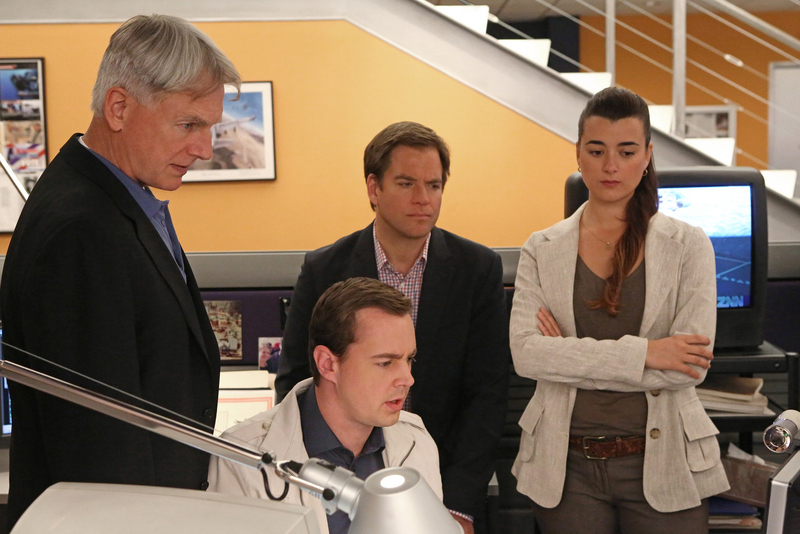 Pictured left to right: Mark Harmon, Sean Murray, Michael Weatherly and Cote de Pablo Photo: Robert Voets/CBS ©2013 CBS Broadcasting, Inc. All Rights Reserved.